The most famous remains of ancient Thebes is the rambling Karnak Temple. Within the temple, the Hypostyle Hall is a forest of massive columns, some 70-feet tall. The columns are covered in carvings detailing adventures of ancient kings. The columns were originally also covered in brilliant color, traces of which still remain in some areas. 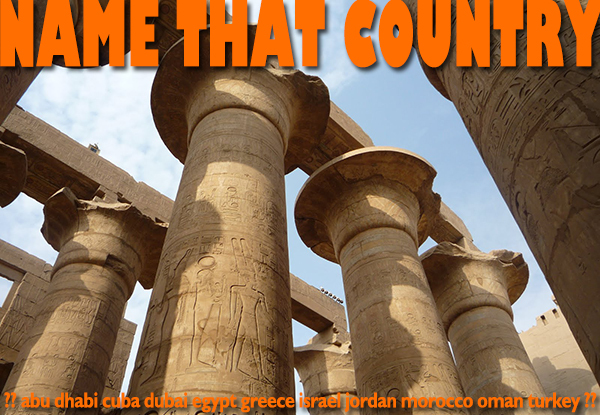 This entry was posted in Egypt, name that country quiz and tagged Egypt, egypt tours by yalla2013. Bookmark the permalink.